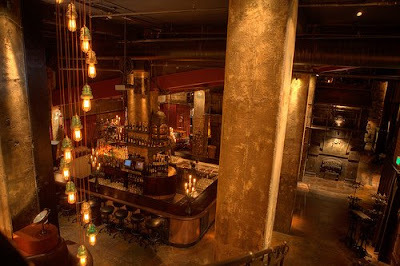 The Edison bar in Los Angeles. Great idea, impressive style, really good events. I'm liking the lounge furniture very much! Indeed. Great interior design altogether. Too bad the club's rather far away from me! Edison? The man is a buffoon compared to Tesla! Not a sporting gentleman at all. He wagered Mr. Tesla that if he could devise an alternating current system of sorts, he would pay the sum of thirty-thousand American Dollars. When Tesla did, and came to collect on his wager, Edison claimed he was joking. Later he ran a vicious smear campaign against Alternating Current. Sweet venusian goddesses! That is some spectacular feats of fancy! Thank my lucky stars that I'm in San Diego, and can possibly get there someday! HUZZAH! 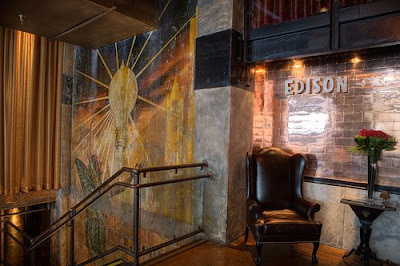 I love the Edison! 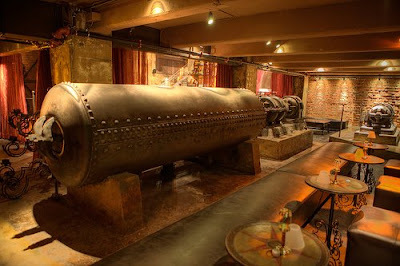 It is the coolest bar I've ever been to. 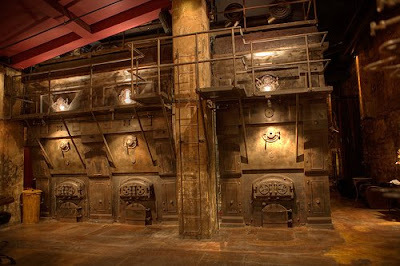 All the interior decoration is gorgeous. The bartenders all wear vests and the cocktail waitresses all wear flapper dresses. 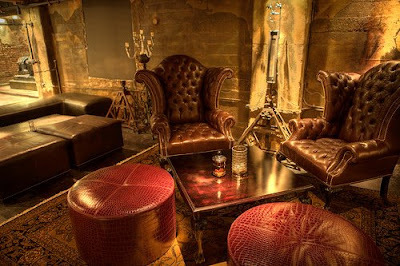 They serve Absinthe in corked vials. The era is a bit post-steampunk. I think they aim more for 1910-1940. 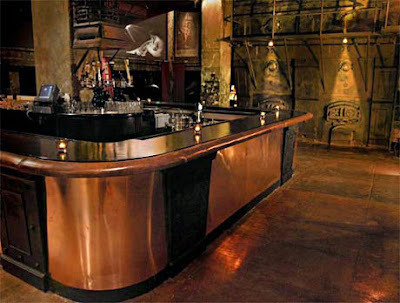 It is a fantastic place, indeed the furniture is perfect for the theme of the bar. That is amazing. Can't believe that that is a real place amazing.